Hulk appears to be flying in INCREDIBLE HULK #4. 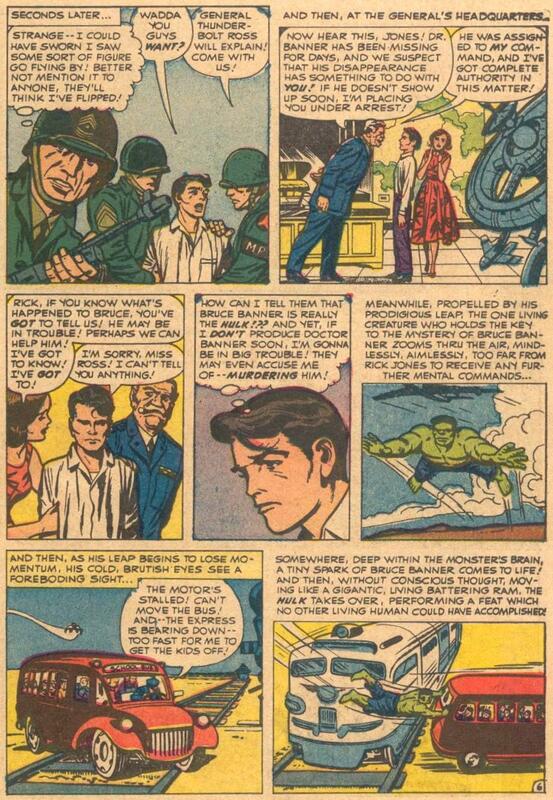 Lee's captions insist that the Hulk is leaping even though the art shows the Hulk changing direction in midair. It is possible that Lee didn't reject the page and have Kirby draw a new one because Kirby wouldn't be paid for the rejected page.